Valve SteamOS for PC Gamers Announced – Will Cost You Nothing! 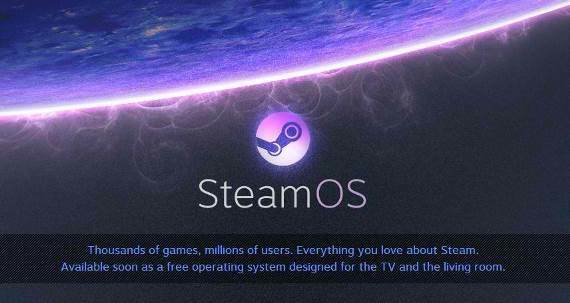 Valve recently announced their own operating system dedicated for PC gamers, called the SteamOS. People were expecting for Valve’s “Steambox”, instead they get an operating system where it turns your PC into a “Steambox”. Steam OS is based on Linux platform, it’s basically a heavily modified Debian Linux, where Valve removed all the non-essentials, and added all the stuff that every PC gamers needs; like multimedia CODECs, fonts, runtime environments, drivers for popular graphics card, sound cards and etc. It seems that Valve is bringing Steam into any living room via the SteamOS. It’s not only made for gaming, but it also features multimedia streaming, family sharing and other stuff that you usually do in your living room. It seems that Steam OS will compete with consoles, like Xbox and Playstation, which are usually present in the living room. I’m not really sure if this will help PC games become more popular and attractive compared to consoles, but it sure is one step to the future of PC games and multimedia sharing. Valve has competitively priced the SteamOS against Windows 8.1 and OS X. You can get the said operating system for only $0.00 USD, that’s right it’s totally free, forever. Hope it’s not loaded with tons of advertisements like other “free” apps or system. The SteamOS release date is currently unknown but we are expecting that it will be rolled out soon. You can download Steam OS once it became available on their official web site, or Steam’s official online store.